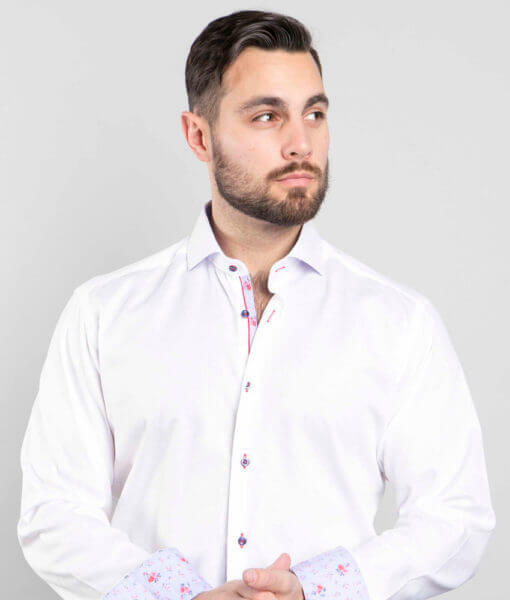 Crisp white shirt with blue plaid trims inside collar and cuffs. Fitted shirt. Spread collar, button cuffs. Great jeans shirt.